Soon the 2018 Winter Olympics in Pyeongchang, South Korea will captivate millions of viewers around the globe featuring sporting events from alpine skiing to speed skating. While the thrill of victory and agony of defeat is what makes for sports history, the overarching story line just may be North Korea’s decision to send its Olympians to this year’s games. This is not the first time geopolitical issues impacted the Olympics between North Korea and South Korea. The two countries have been at odds since the end of the Korean War in 1953, with recent elevated tensions between the U.S. and North Korea exacerbating the issue. But it’s diplomacy on the playing field that may save the day. Earlier this month, North Korean negotiators quickly accepted South Korea’s request to send a delegation to the Winter Olympics. Both countries also agreed to march together under one flag during opening and closing ceremonies, and field a joint women’s hockey team. Not all are happy with the decision, especially South Korea. Whether or not North Korea’s renewed interest in the Olympics is an attempt to stave off U.N. sanctions remains unclear, although the communist regime has been hit hard by an upsurge of import and export bans according to U.S. sources. Either way, North Korea is playing its cards right. Sounds like the stuff good geopolitical Olympic-based films are made of, like 2006’s “Race,” which chronicles the rise of Jesse Owens in the 1936 Berlin Games, or 2004’s “Miracle,” about player-turned-coach Herb Brooks who led the 1980 U.S. Olympic hockey team to victory over the Russians during the second Cold War. Hopefully the drama can ignite ratings. NBC reported its coverage of the 2016 Rio Olympic Games averaged 27.5 million viewers across all platforms, including digital streaming, down 9 percent from 2012. In fact, Nielsen numbers showed TV viewership for Rio’s Opening Ceremony declined 28 percent from London’s on July 27, 2012. The peacock network expects ad sales for this year’s Winter Olympics to exceed those for the 2014 Winter Games in Sochi, Russia. And given the change in viewing habits from linear (TV) to digital, NBC is focusing on total audience viewing that combines digital and linear viewing to deliver a single audience guarantee. That means more live content on more screens. 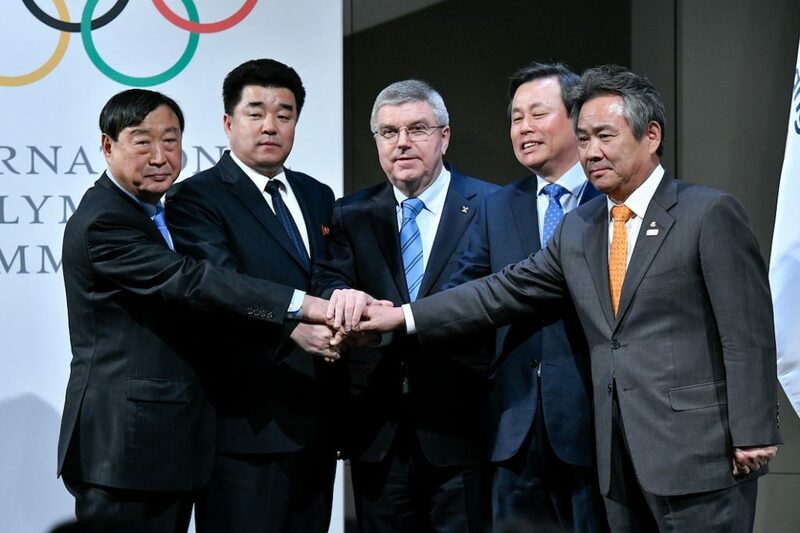 The Olympics has many remarkable stories, and this year’s Olympic Korean Peninsula Declaration is certainly one of them. So, tune in, wherever, and find out how the story unfolds.